Octavio Paz has played a key role in imposing normative maternal values. including literature, cinema, music and popular culture in general. criminal mothers, drug-addicted mothers, or incarcerated mothers. The Africana Research Center invites applications for a one-year postdoctoral fellowship in any aspect of African American and Diaspora Studies, beginning August 2013. During their residency, fellows have no teaching or administrative responsibilities, though they may request a teaching assignment. They will be matched with a mentor, attend professional development sessions and other relevant events, and be expected to be active in Penn State’s community of Africana researchers. Successful applicants must have completed all requirements for the Ph.D. within the previous four academic years. Salary/benefit package is competitive. Submit complete application packets including cover letter describing your research and goals for the fellowship year, a curriculum vita (6 page maximum), and a writing sample of no more than 30 double-spaced pages at http://www.la.psu.edu/facultysearch/ by November 7, 2012. Three letters of reference should be addressed to the attention of the ESSS ! Selection Committee and e-mailed directly to africanacenter@la.psu.edu . Please direct questions about the process via e-mail to africanacenter@la.psu.edu . Penn State requires successful completion of background check(s) consistent with the requirements of the job. Penn State is committed to affirmative action, equal opportunity and the diversity of its workplace. The official online journal of the Association of Library Communications and Outreach Professionals (ALCOP) is seeking articles for its Fall 2012 issue. 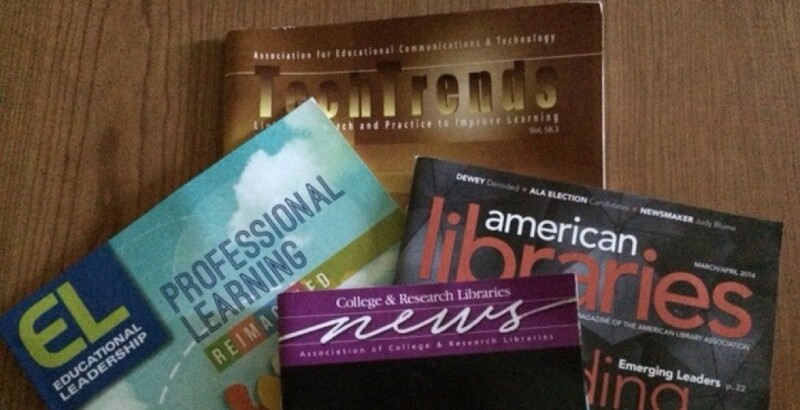 The articles in the journal take a practical approach to library communications and outreach and are written by members of the library communications profession. Topics include strategies for reaching out to underserved populations, fundraising ideas, program development and promotion, crisis management, event planning, staff relations, generating better media coverage, the use of social media and technology to tell your story, and many other issues facing today‘s practitioner. The deadline to submit an article is Thursday October 11th. Authors should send the manuscript in Word format along with a brief bio of the author(s) as well as a headshot of the author(s). Illinois Central College invites librarians to submit program proposals for the ForwardFocus Conference. The event is meant to inspire library innovations in community college libraries by showcasing current projects, pilot projects, or out-of-the box ideas that have yet to take off. The event will be held on Friday, November 2, 2012 at Illinois Central College in East Peoria, Illinois, as well as online via Blackboard Collaborate and will feature a keynote presentation by Dr. Anthony Molaro. We’re looking for solo, group, and discussion moderators on hot topics. You don’t have to have a 45-minute PowerPoint presentation to play a vital role in the conference. It’s all about your great ideas regarding services and issues facing community college libraries. Submit your proposal now or by September 7 to be a leader in the conversation! Would you rather participate in the conference? Registration is opening soon with early bird rates! The ForwardFocus conference will include highly interactive online and in-person sessions. We are interested in a broad range of submissions that highlight current, evolving and future issues in community college libraries. Submit your proposal for an online or in-person presentation by completing this web form by September 7. You will be notified by September 21, 2012 if your proposal has been accepted. Conference registration fees are waived for speakers. Classics: Contributions to the “Classics” section follow a structured format designed to highlight, summarize, and critically appraise research studies that stood the test of time and continue to have an impact on library and information practice. Commentaries: Commentaries are opinion pieces on a topic related to evidence based practice. This is a non peer-reviewed section. Review Articles: Review articles provide a way for librarians to obtain an overview of the evidence on a particular topic, and stay current with the literature. Using Evidence in Practice: The “Using Evidence in Practice” section features brief reports of LIS practitioners’ use of evidence to assist with decision making. This is a non-peer reviewed section. For more information about these sections, please visit http://ejournals.library.ualberta.ca/index.php/EBLIP/about/submissions. Please visit the Evidence Based Library and Information Practice web site (http://ejournals.library.ualberta.ca/index.php/EBLIP/index) for more information about the journal. During the past few years, groups like the President’s Council of Advisors on Science and Technology, and Center for Education, have been placing great emphasis on the significance of STEM (science, technology, engineering, and math) education. The curricula has been revised in many institutions and school districts across the country. Chapters sought for an anthology by practicing academic, public, school, special librarians, LIS faculty in the United States, Canada, and others sharing practical how-to chapters on: grant writing, community partnerships, outreach, research, and programming activities. Creative methods are sought that apply to various types of libraries and job positions. Concise, how-to chapters words based on experience to help colleagues. Your nuts and bolts article should total 3000-3500 words. No previously published or simultaneously submitted material. One or two authors per chapter; complimentary copy as compensation, discount on more. Authors are invited to submit papers presenting original and unpublished research. Papers should not exceed 12 single‐spaced pages (including eventual appendices) and should be formatted according to the standard format for Springer Verlag’s LNCS series (see http://www.springer.com/computer/lncs?SGWID=0-164-6-793341-0). – Bank transfers should not involve any expense for the conference. – People claiming early registration will be requested to prove that the bank transfer order was carried out by the deadline. alternative events are also due September 24.
iConference 2013 takes place February 12-15, 2013 in Fort Worth, TX. November. We hope you’ll make plans to join us! simultaneously submit their work to other conferences or journals.